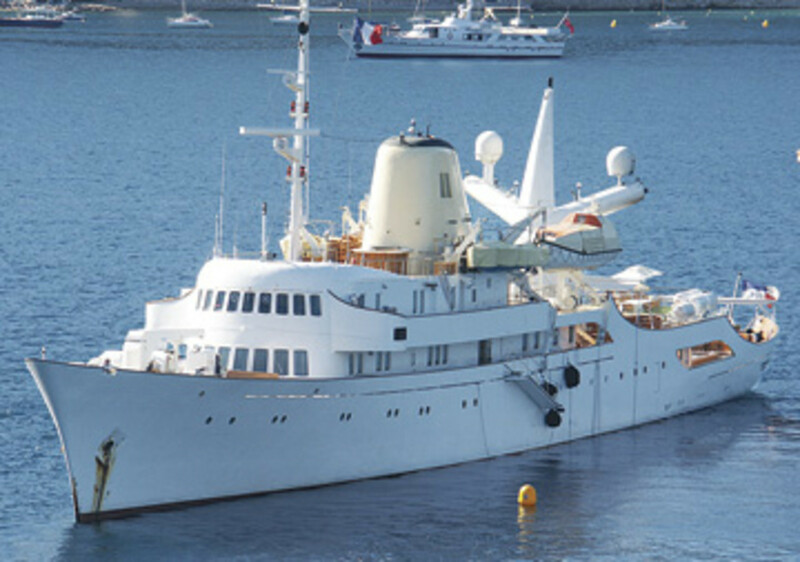 Christina O is arguably the most famous megayacht of all time, probably because her original owner, Aristotle Onassis, once regularly entertained the world’s most famous people onboard her. 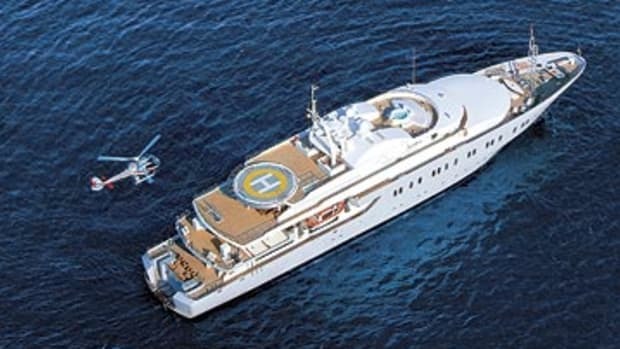 Christina O is arguably the most famous megayacht of all time, probably because her original owner, Aristotle Onassis, once regularly entertained the world’s most famous people onboard her, including John Paul Getty, Eva Peron, Frank Sinatra, and John Wayne, to name a few. It’s hard to believe that this gorgeous lady spent most of the 1990’s rotting away before being bought in 1998 and renovated over a two-year period by a group of investors led by John Paul Papanicolau (who once cruised aboard her as a child). While she was updated with modern amenities such as satellite TV and DVD systems in each of her 15 staterooms, she retained her most striking features. Guests will love her aft deck’s mosaic-lined swimming pool that can, with the touch of a button, be drained, raised, and converted into a dance floor. They’ll also be intrigued with Ari’s Bar, reportedly Onassis’ favorite spot to entertain. Perhaps more interesting is what’s in the bar: The circular area is made from timbers from centuries-old Spanish galleons and features handholds of carved whale’s teeth and barstools covered in whale foreskins (but additionally covered with leather). All of this and much more can be had for a weekly charter rate of 455,000 euro, which was about $575,074 at presstime, plus expenses.